As a chartered member of the Hong Kong Internet Exchange (HKIX), CommuniLink is the first web hosting company which owns a dedicated local bandwidth of fiber optics network straight into HKIX. CommuniLink owns 20Gbps dedicated local bandwidth of fiber optics network straight into HKIX, 3Gbps(CN2) dedicated China bandwidth, together with 10Gbps oversea bandwidth, as a result our customers are privileged to have connectivity protection and stable online market network. 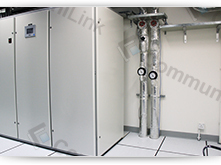 The Data Centers are located in a secure, monitored building with a minimum number of approved personnel allowed access to highly sensitive areas and equipment. The Network Operations Centers (NOCs) are via Access Control System to further secure and protect the equipment.A detailed record of employee and visitor entry is maintained at all times. The Data Centers have raised flooring. This enables a constant flow of conditioned air and helps to maintain uniform room temperature at all times. 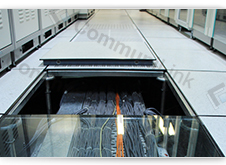 In addition, raised flooring reduces static and ensures a professional, computer grade environment for our servers. 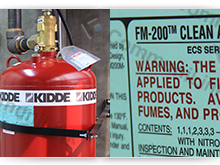 The facility is equipped with a FM200 fire suppression system, designed to immediately extinguish fire and protect equipment and personnel. To guard against local power failures, they have industrial-grade, three-phase Liebert UPS systems. These act as back-up batteries, maintaining uninterrupted power in case of surges or power outages. With these back-up systems in place, we can keep our network up and running indefinitely without relying on external power. 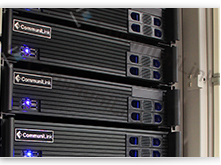 All of our web servers are equipped with a positive-pressure filtered-air system. 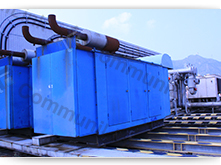 Four large fans pull filtered air into each server's protective case, and the components within are cooled by fans that circulate this purified air. This constant introduction of clean air into the case creates a positive pressure environment ensuring that dust and particles remain outside the server. 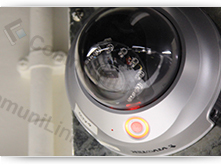 We have the Multi-angle of the Video surveillance to real-time monitoring datacenter safe, as quickly as possible to solve unusual problems. 24-hour staff monitoring network using, multiple large screens show the network data transmission situation. We keep spare servers online of all CPU configurations. If a server were to experience a hardware failure, we would replace the hardware and insert it into an identical standby CPU in a short period of time. We would then reboot the second machine, and the server would be up and running again.